A judge ruled Friday in favor of the family of a 13-year-old brain-dead California girl, saying that she could remain on life support, the Associated Press reports. 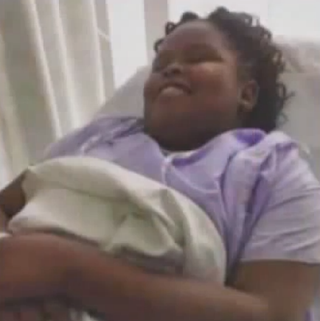 California Superior Court Judge Evelio Grillo ruled that Jahi McMath could stay on a ventilator, the report shows. The ruling came after Children's Hospital Oakland decided to disconnect life support after she was declared brain dead on Dec. 12. But on Friday, both sides agreed to seek a neurologist to further examine the teen and determine her condition. Another hearing before the judge has been scheduled for Monday. As The Root reported earlier, the family wanted to keep Jahi on life support until after the holidays. Problems began after she underwent a tonsillectomy to help with sleep apnea. After she was moved to a recovery room, her family said she was sitting up and breathing profusely. “A pink cup was full of blood,” the AP reports. At Friday’s hearing, the hospital's attorney, Doug Straus, said two doctors unaffiliated with the hospital examined Jahi and concluded that she was brain dead, the AP reports. Straus added, "We're happy to cooperate with the judge's suggestion that an independent expert be provided to confirm yet again that brain death is the outcome that has occurred here." But the family's attorney, Christopher Dolan, said they want independent tests of their own because they do not believe the hospital's physicians are sufficiently independent, the AP says. Hospital officials reportedly told the family during a meeting Thursday that they want to take the girl off life support quickly. "I just looked at the doctor to his face and I told him you better not touch her," the girl's mother Nailah Winkfield told the AP.